Updated (Sec) = How many seconds have passed since a player entered a command. 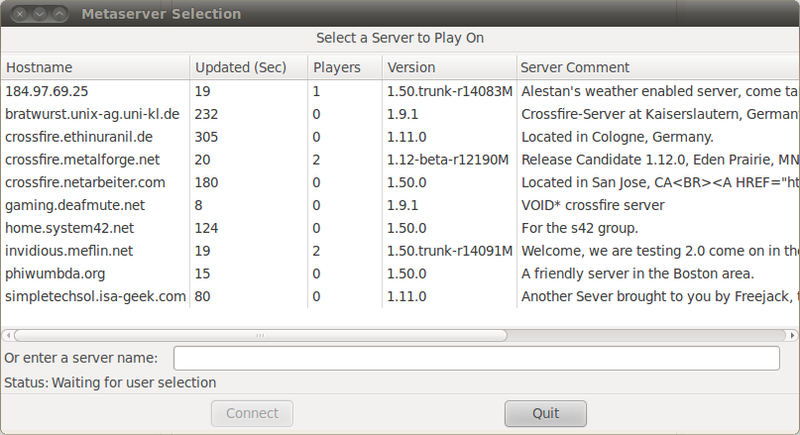 This is useful if you want to see if people are logged on and actually playing (vs. hanging out/doing nothing) or how long a server has been empty. 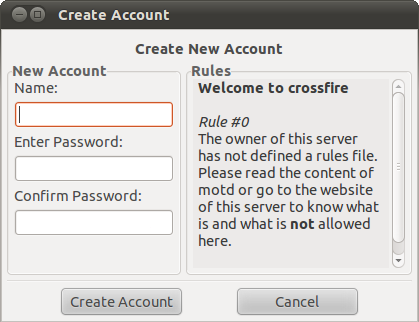 This is where things really start to change with the Account Based Login, the next window allows you to login as an existing character or if it is your first time connecting to the particular server - create an account on there. The benefit of this set up is, one password for any number of multiple characters. Rules box = This is where the server host or admin can specify rules for the server such as if Player Killing (aka, PKing or PvP) is allowed, etc. 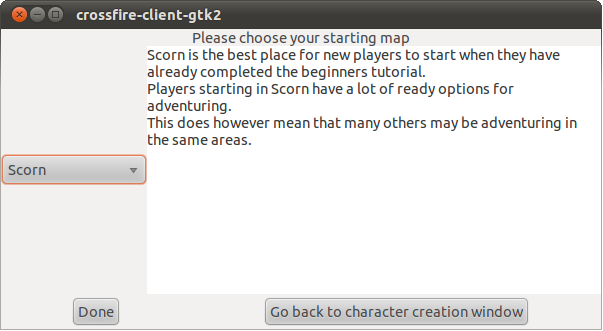 Player Character button = Left click to select a character in the Characters box and then click this button to play that character. 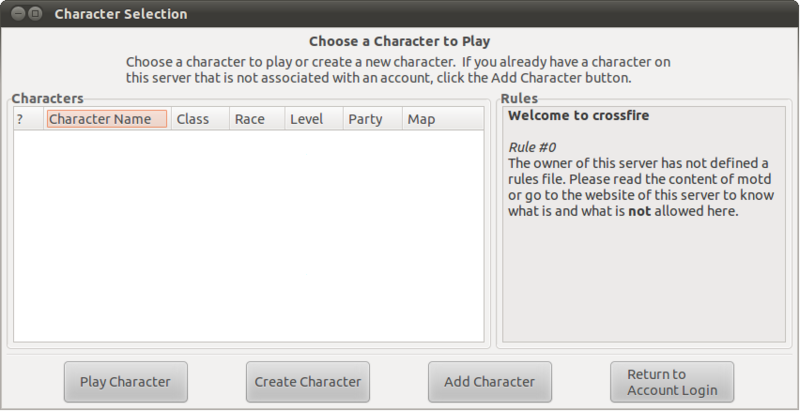 In this example, the character "Duke" is selected. 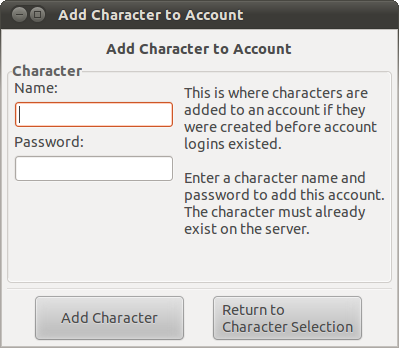 Add Character button = Allows you to merge or associate an existing player file with this account; most often used when the server or client is upgraded to use this character management method. 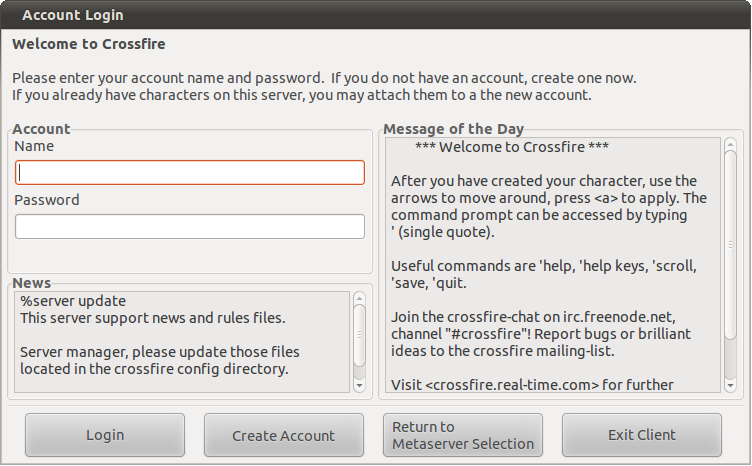 You will need to type in the character name and that character's password in order to "merge" or associate that player file with your login account. Race drop down = The race of your character, the numbers listed in the column below the drop down box are how race effects Total attribute score. 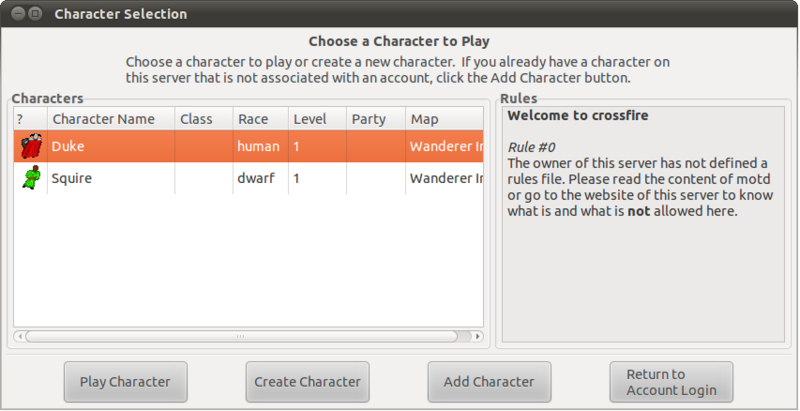 By default, dwarf is selected. 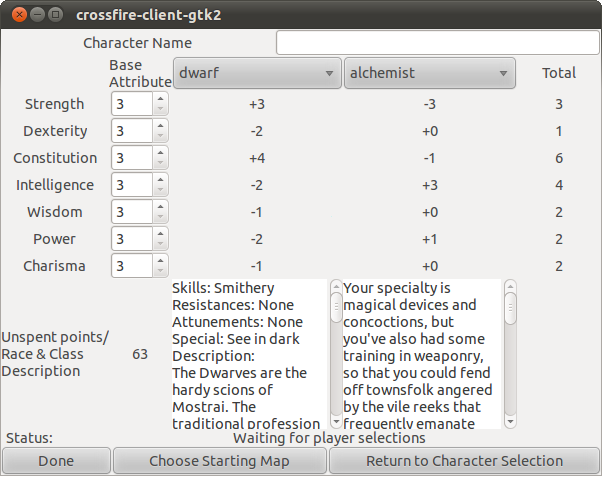 Class drop down = The class or profession of your character, the numbers listed in the column below the drop down box are how class effects Total attribute score. By default, alchemist is selected. Beginners House - The beginners house is a good choice for first time players. It will teach you some of the mechanics of the game. If you have played before, you may chose to skip beginners house and start your adventures in some other location right away. Navar City - Navar is a good place for more experienced players to start. Adventurers starting in Navar might have to do a bit more exploring, but then it is more likely you find things. WARNING: Navar is not a "Newbie Friendly" place. True novices should start in beginners house or Scorn. Once these steps are completed, you should now appear in the chosen starting map, ready to play. Enter 0 to exit the program. Look for a floating window that says, "What is your name?" Another floating window will appear that says, "What is your password?" Note: you can re roll the stats as many times as you want. Click on the ability score button (Str, Dex, Con, et al) or [1-7] [1-7] to swap stats. If you click on the ability score button, the dialog window will update and ask, "Exchange with which ability?" In the popup window click on "Show next" (or hit the [n] key) to select a different race. Click on "Keep this" (or hit the [d] key) when you find the race you want. You should now see your character (based on race) in the Hall of Selection. In this example, it's a human standing at the top of the pentagram.